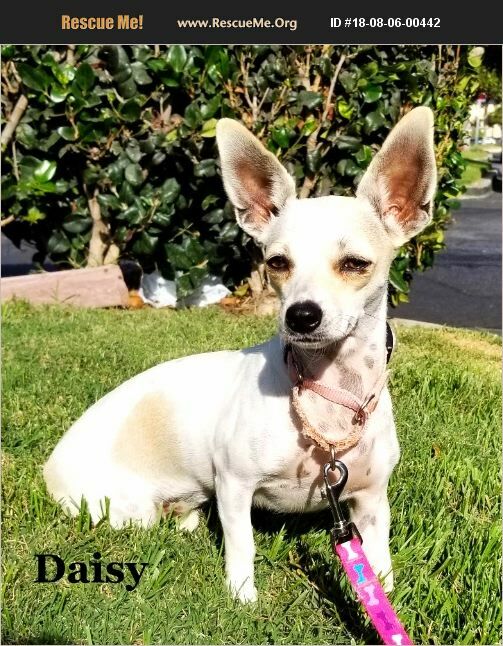 Daisy is a 1 yr. old Female Chihuahua Mix. She is current on vaccinations, Needs to be spayed & micro-chipped. Daisy was found as a stray back in May. Daisy has a 6.6 Heart Murmur believed that she was born with it. Back on Christmas Eve she gave birth to 4 beautiful healthy puppies. She loves to people and good with dogs not sure about cats. Daisy is looking for her new Forever Home!!! !